Friday I picked up a joblot of stuff, one of the things was a Hotshot. Id asked if it was original. Got told it was a MK2, although I think its a re re. So here are some pics what do you guys think. Guy I bought it from was a bit confused about MK2's and re re's. 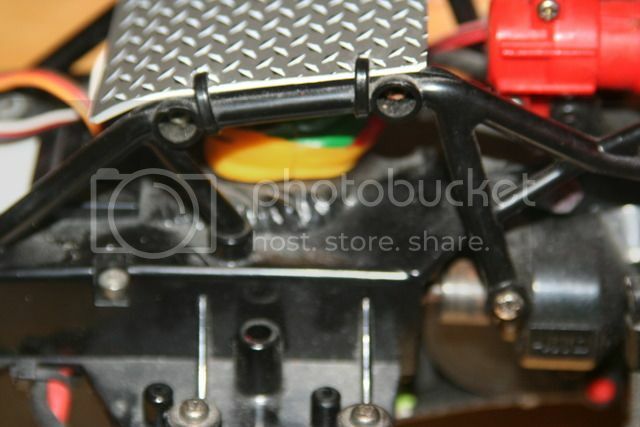 Center prop shaft and front wishbones indicate it's a mk2 and not a re-re. It's also got a hotshot II front shock fitted. Can't see the drive shafts well enough to see if they are re-re but the rears look like they are either original supershot or boomerang, as they look too narrow to be re-re. 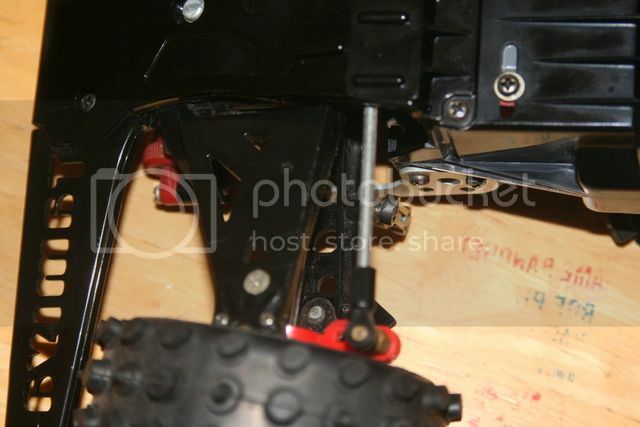 It also looks like it's got home or aftermarket front anti roll bar and supports, the arb supports look like they are ally, and the front arb should be natural metal coloured, not black. 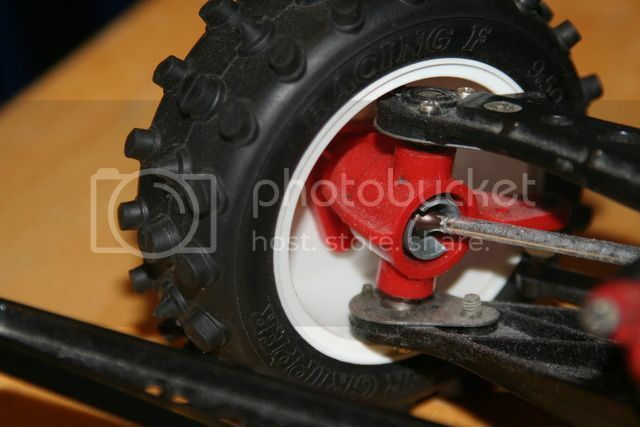 Also the ball joints on the end of the front anti roll bar are not Tamiya. It looks like under the shell there might be a radio access hatch. if this is the case it could either be a MK2 hotshot repaired with some rere parts, or a MKII modified with hotshot II parts. 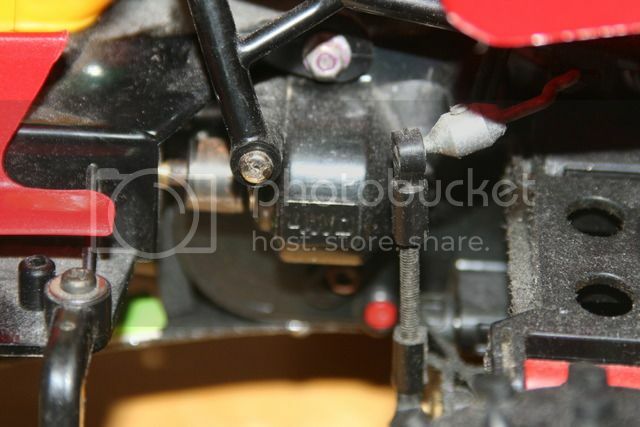 Can we see the drive shafts and drive cups, and the car with the bodyshell removed ? This is a mix of Hot Shot Mk2 and Hot Shot 2. 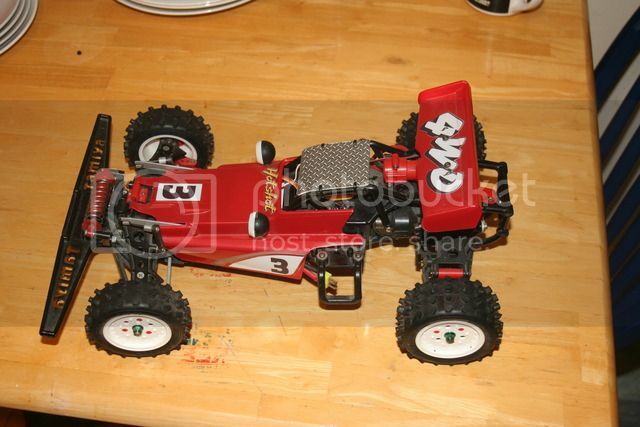 The chassis is from Hot Shot 2 as the rear half shafts and the front mono shock. The front Half shafts are browinshed so they are from the vintage Super Shot as the front hubs. Really its a mix then. Body shell looks to have some metallic red factory finish. Bit like my Neo Scorcher shell. Certainly doesn't look original to me. 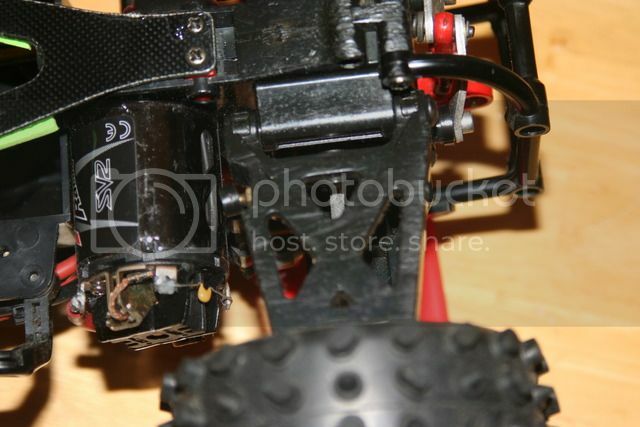 Does the switch recess on the upper chassis (next to the access hatch hole) have ON OFF embossed on it? 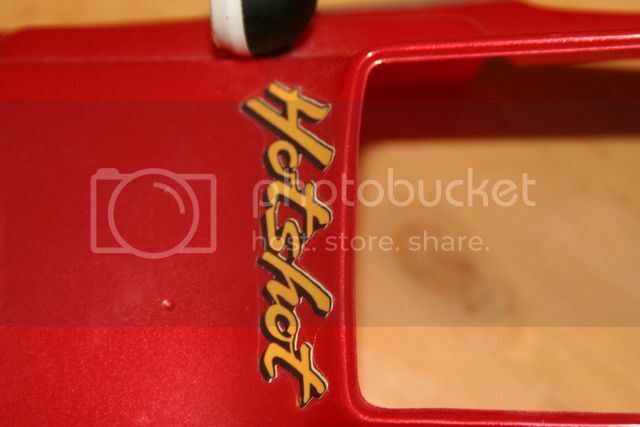 If so, its a vintage Hotshot 2 item. If there is nothing at all on the switch recess, ie no ON OFF then it's a 2007 re-release item. No there is nothing by the switch recess at all. So must be from a re re. The roll cage looks to be a replacement item as well. 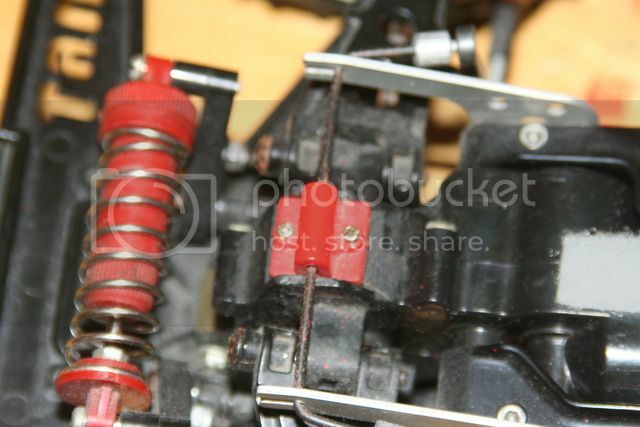 If you notice where it attaches to the rear gearbox at the bottom, the gearbox is scratched up from running, but the roll cage in the same place is undamaged. You can tell re-release cages fairly easily. They have a stay running, almost vertically, from the bottom of the wing mounting to near the dummy resistor mounting points. 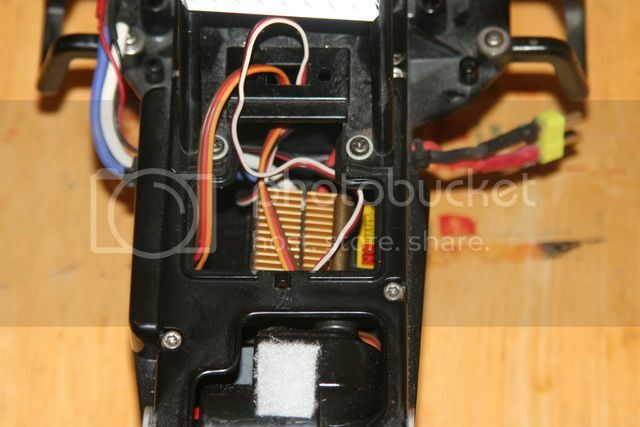 The 58047 Hotshots through the Supershot and Hotshot II do not have this stay in the molding. I think you have a mash-up of parts form several sources. Not sure what I am doing yet. Ive listed it as it is on Ebay. If it doesn't sell I may even part it out as is such a mix of parts. Cool Well if you do part it out, put me down for that front red CVA and mounts Cheers Andy.